For many years, firstly in retail and corporate banking and subsequently in internal and external consulting, Ian has developed his expertise in the areas of negotiation, sales, leadership and project management. 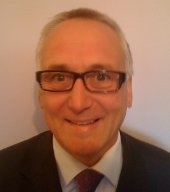 Ian retains a passion for developing people and best practice in a wide variety of organisations and industries. Recently Ian was instrumental in enabling a major pharmaceutical company to streamline and renegotiate their distribution network across Europe. This set the scene for growth and the achievement of savings of several million Euros. This project involved training and facilitating negotiating and support teams through all stages of the negotiation deal cycle. Ian is at home working with all levels of teams and executives to identify the needs for training, define the requisite training approach and then deliver improved performance. This involves a mix of needs analysis, customising of solutions, training and coaching, assessment and review. Ian works with clients across Europe, Africa, Asia, Far East, USA and the Middle East. Ian holds a degree in Psychology, and is an associate consultant with the Rotterdam School of Management at Erasmus University.